Kids love Halloween! They get to dress up and get free candy! What a perfect holiday! 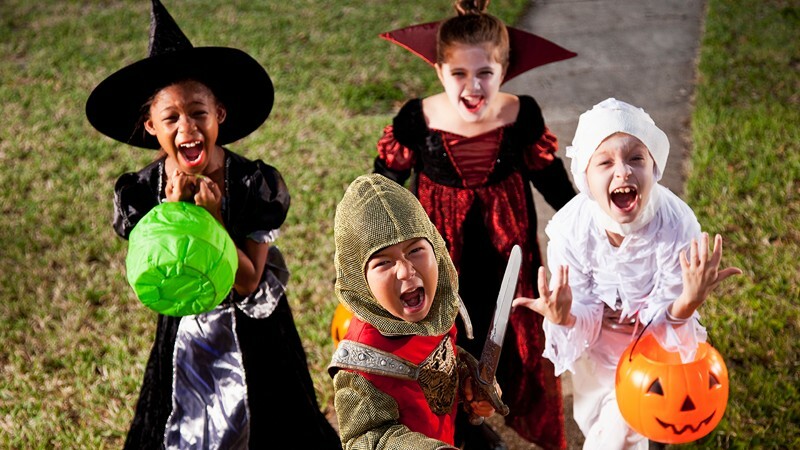 give your kids some precious Halloween memories that they will have for life. Trick-or-treating is not what it use to be. It is not as safe to let kids walk the streets alone. Send a responsible adult or older teenager with them. Have a pumpkin carving party for your children and their friends a couple nights before Halloween. they will enjoy looking at their creations for a few days before they have to be thrown out. Check your local grocery store or craft store for Halloween cookbooks full of tasty treats on a horror theme for both kids and adults.